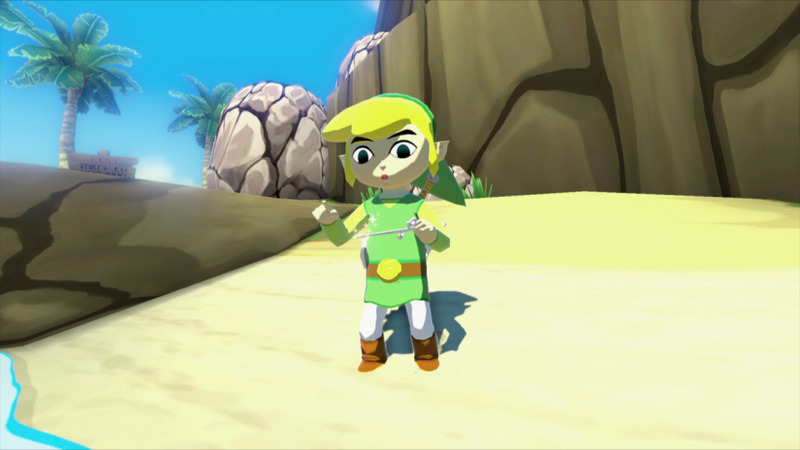 Conducting various melodies with a magical baton is a hallmark of The Wind Waker. I mean, the game shares its name with the baton itself. It’s hard to imagine that the baton wasn’t integral to the game’s design from the beginning, but the creators did originally have something else in mind. Had they kept their initial idea, The Wind Waker might have had a completely different feel and sound. Zelda’s Study is a series where we examine the history of The Legend of Zelda to bring you some fascinating (or just plain weird) trivia. In our studies, we’ll explore each game’s development, curiosities within the rich lore of the franchise, and the impact it has had on our culture. From time to time, we’ll also look at Nintendo’s past to unearth some facts about our favorite company. In part two of a 2003 interview in Nintendo Online Magazine, Eiji Aonuma, now producer of the Zelda series, explained that the staff originally envisioned Link playing the theremin in The Wind Waker. Mr. Aonuma wanted to use body movement to create music, similar to how movement is necessary to play the theremin. The development team eventually found the theremin would be too difficult to play or even explain to audiences who may not be familiar with the obscure instrument. I have to say that I agree with this final assessment. Mr. Aonuma wanted to use body movement to create music in The Wind Waker. If you’re not familiar, the theremin is quite a unique music-making machine. It is the only musical instrument that you play without actually touching. Consisting of a body with metal antennae on the left and right sides, the player changes the proximities of one hand to an antenna to alter the pitch and their other hand to the other antenna to control volume. The resulting electronic signals are read by the theremin and amplified through a loudspeaker. In addition to the one-of-a-kind technique required to play, the theremin also produces an incomparable timbre. The instrument is commonly used to elicit eerie sensations, with famous examples occurring in classic science fiction films such as The Day the Earth Stood Still. Since the theremin is not an instrument known to most, the developers eventually realized this and decided a conductor’s baton is much more recognizable. In addition to the challenge of explaining the theremin, using it potentially could have changed the feel and sound for the game. The upbeat, Celtic-inspired soundtrack of The Wind Waker would not have lent itself well to the sound of the theremin. No offense to theremin players/enthusiasts, but personally I don’t think it would have been the right instrument for the situation. I also would have found it awkward to use an electronic instrument with no power supply in the middle of the ocean — but who knows, maybe they could have made it work? Wondering what a theremin would sound like in a Zelda game? Take a listen to this cover of Zelda‘s main theme on theremin for a glimpse of what could have been. Solid cover, gotta hand it to him. How do you feel about a theremin over the baton? Let us know in the comments!